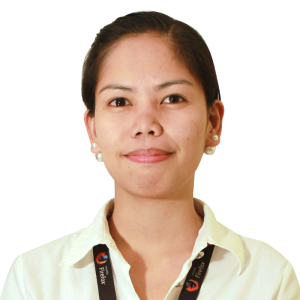 Lenivie A. Estillore - Syntactics Inc.
A graduate of Bachelor of Science major in Computer Engineering was an SEO Specialist before she became the Online Marketing Division team leader last 2010. Managing a division in the company is not an easy task but for Lenivie she manages the team with finesse and she’s able to inculcate to the minds of her team members that challenges can be surpassed through hard work, perseverance and patience. As an Online Marketing team leader, Lenivie has become an online marketing consultant, which enables her to train new employees and manage her team effectively.